Controls for pitch, x and y offset, radius of the circle, phase and frequency multipliers. By default the object outputs a circle. 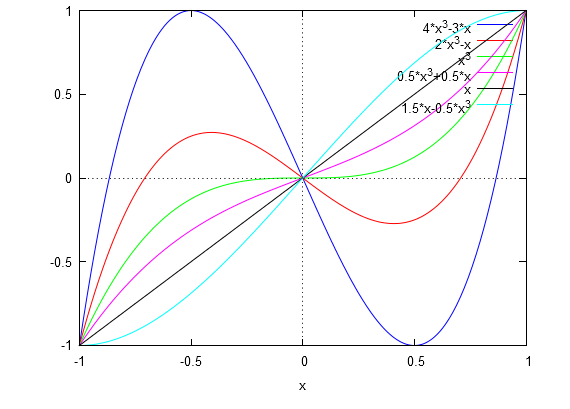 Takes in input two coordinates and outputs a number, based on a function (from a fixed set, between linear, quadratic, cubic and sinusoidal, with a, b, c parameters). This may sound boring, but some algorithms can produce a pretty raw sound. Available with interpolated mod input and an option to saturate the input to normal range. Two algorithms allow feedback. Theorically, these object should convert a set of cartesian coordinates to polar. Short explanation: takes the content of a table and draws it around a circle. Long explanation: a phasor is used both to scan a table and to generate two quadrature sines. 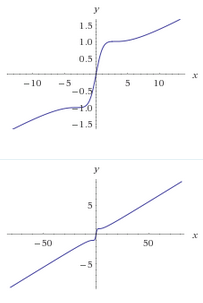 The value of the table at the position corresponding to the angle is multiplied by these quadrature sines and added to an offset. The resulting coordinates are then offset by a final amount and then outputted. But i can assure it works, i did some tests with the axoloti ghetto recorder and a freeware osc found online. Should be good for driving an oscilloscope for cool visuals! In a previous life, I used to make realtime 3D tools/toys for VJs, so I'd love to see what you come up with. I have some other ideas about porting ideas from graphics to audio that might be cool. Well, i don't really have a precise objective in mind, however i think these tools might be useful to some geeks. Also, exploring 2D and 3D space might (might!) be interesting for some kinds of modulations.. Who knows? If you have some ideas i'm curious to hear them. Scale parameter allows to scale the output (standard axoloti format), eye specifies the distance on the camera axis of the eye. This means that if the eye is set to 64 and the plane of projection is xy, coordinates at z = 0 will appear unscaled. 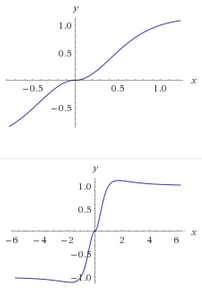 z<0 will result in smaller figures, while z>0 bigger. Thanks @Sputnki many interesting objects for my oscillographics patches to try out! Thanks for the report, corrected! The first is a looper/pos with modulation inlets for parameters. Second and third object allow glitch reduced stretched recording. Any chance of letting me know how to do some slicer implementation? I've made a slicer object (there are two instances of it, one with inlets and one with mod parameters), with an help patch. Not sure if it's what you need, however it's not really a flexible object. It's a shift register that can do SISO and SIPO. 2 dimensional 4x4 shift register. Data is organized in a 4x4 matrix. You can access singular values with x and y coordinates. i can't find the slicer help patch? Have you tried clicking on the arrow of the object? Ah...by patch you mean help information? Yeah I've seen that. IMPORTANT! Input is hard saturated to normal range, but no antialiasing is applied in this stage! Feedback can be either positive or negative, sets the amount of output signal that is mixed with the input (it can beef up the sound, but also totally destroy it). Tame option automatically lowers input volume according to feedback amount. A filter can be inserted in the feedback loop (no filter / lowpass 1 pole / highpass 1 pole) to stabilize or cancel dc. Shape, feedback and filter pitch can be modulated, with little or no artifacts. Waveshaper distortion (hardclipping + crossover). Antialiased. The amt parameter controls the position of the peak (it's basically a gain).